Published in the new issue of Mayo Clinic Proceedings, the findings show roughly one in five physicians intend to reduce clinical work hours in the next year. And about one in 50 physicians intend to leave medicine for a different career entirely in the next two years. 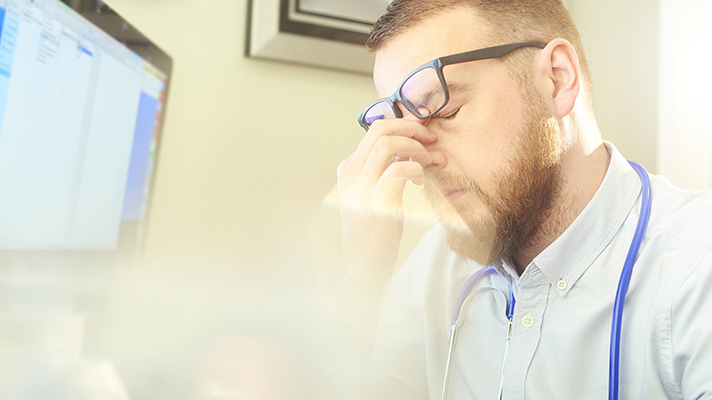 The study’s authors highlight a correlation between the career plans of physicians and the growing problem of burnout, technological dissatisfaction and administrative fatigue among physicians. Physicians who were burned out, dissatisfied with work-life integration, and dissatisfied with electronic health records were more likely to intend to reduce clinical work in the next 12 months. Burnout is the largest factor influencing physicians who intend to leave medicine in the next two years; mounting obstacles to patients’ care have been contributing to emotional fatigue and loss of enthusiasm and may foreshadow a crisis in the American healthcare system. Attrition in the physician workforce results in diminished access to care for patients. If just 30 percent of physicians follow through on their intention to leave medicine in the next two years, the study estimates approximately 4,759 physicians would leave the workforce -- a loss roughly equivalent to eliminating the graduating classes of 19 U.S. medical schools in each of the next two years. To help physicians succeed in their life's work of caring for patients, the AMA has made the prevention of burnout a core priority. Working with partners across healthcare, the AMA is leading a change in medicine that embraces physician well-being as a critical factor in the long-term clinical and economic success of the nation’s healthcare system. The AMA is also striving to help physicians cope with the challenges of providing quality patient care in a modern environment, arming them with relevant tools, information and resources -- and, in so doing, rekindle a joy in medicine. The STEPS Forward collection of practice improvement strategies helps physicians make changes to their practices, offering free online modules that help physicians and health leaders learn their risk factors for burnout, and adopt medical practice solutions to reignite professional fulfillment and resilience. The modules include Creating the Organizational Foundation for Joy in Medicine, Implementing Team-Based Care, Team Documentation, and EHR In-Basket Restructuring for Improved Efficiency.